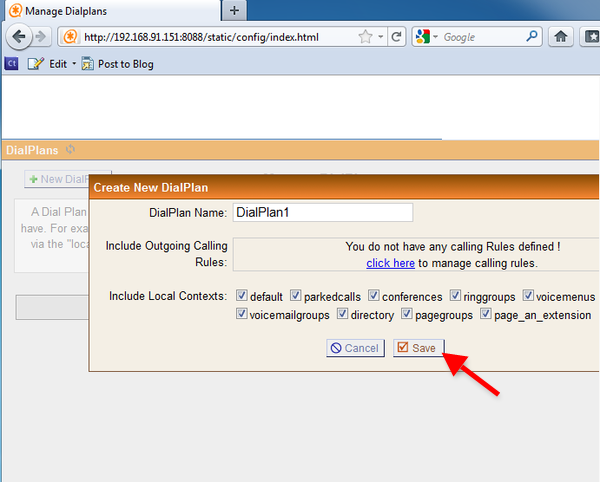 We will show you how to login to AsteriskNow and create a dialplan. 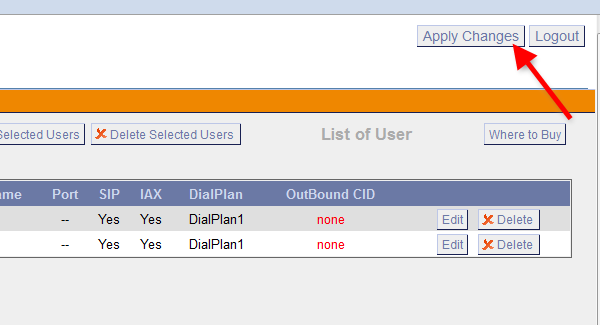 This guide shows you how to create 1 dial plan and 1 user with an extension on the AsteriskNow PBX. 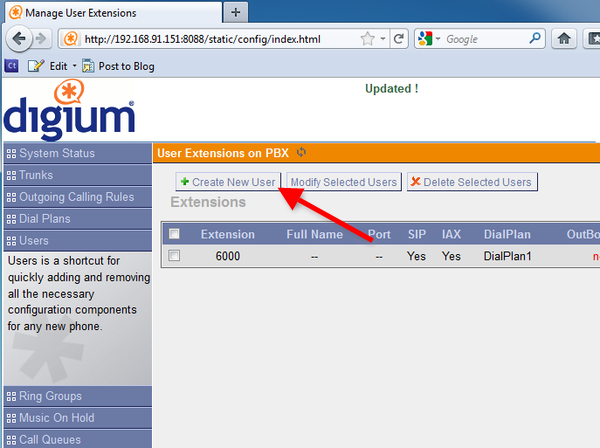 The created extension can be used by Ozeki 10 to register to the PBX. 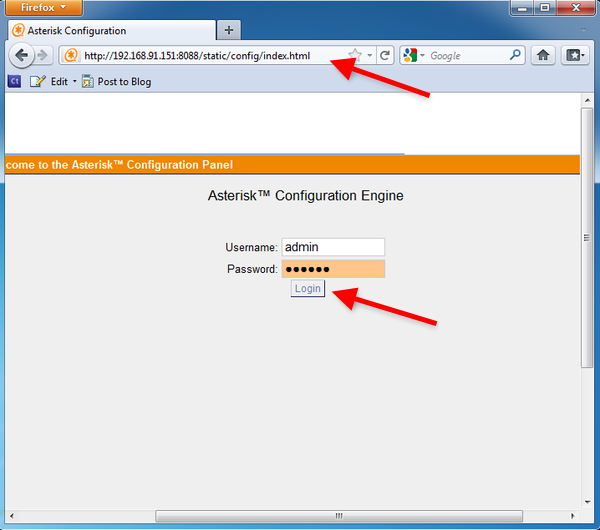 It is assumed that you have already installed AsteriskNow onto your Linux server. 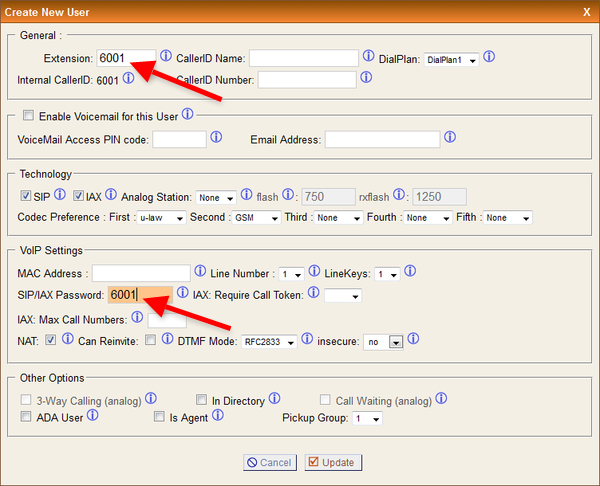 As a first step, you need to configure a user to make phone calls via AsteriskNow. 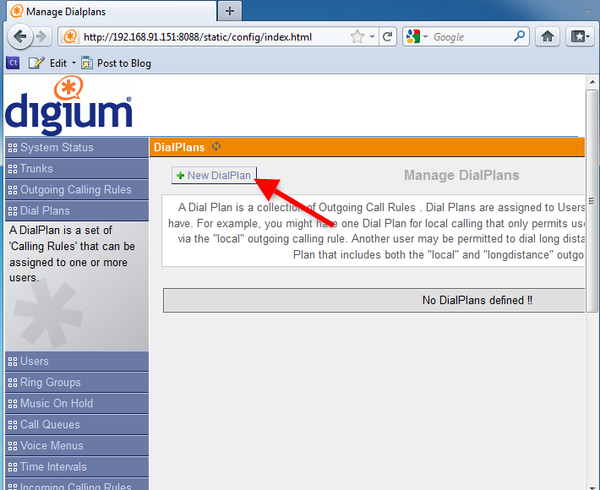 After login, click on 'Dial Plans' menu item (Figure 2). 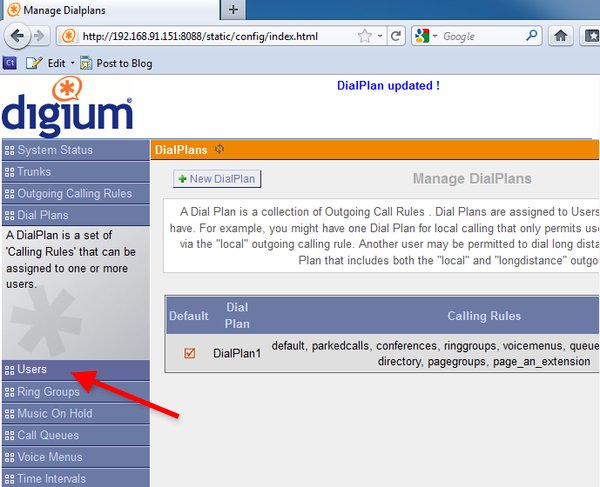 At the Dial Plans page, click on 'New DialPlan' button to create a new dial plan (Figure 3). After the dialplan is created click on 'Users' (Figure 5). Create a user by clicking on the 'Create New User' button (Figure 6). Provide an Extension number and a Password into the respective fields (e.g. 6001) and click on 'Update' (Figure 7). 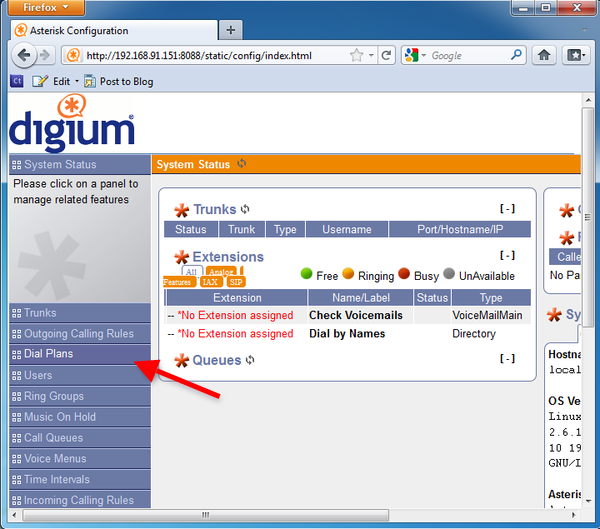 In order to apply the created changes, click on 'Apply Changes' at the top of the screen (Figure 8).